Check us out at Facebook by clicking on Roxannes Vizslas. Cheyenne with her hat on!! Roxanne and Cheyenne a sleep together on the couch!! Those babies make us sleepy!!! This is life on the couch at our house!! Welcome to Roxannes Vizslas! We are located in central North Carolina . 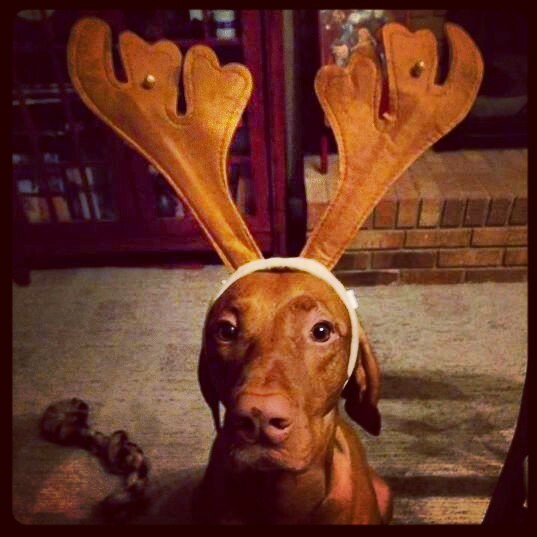 We are proud Vizsla owners that have learned what a special breed the Vizsla is, not only a great family pet but a incredible hunting partner. 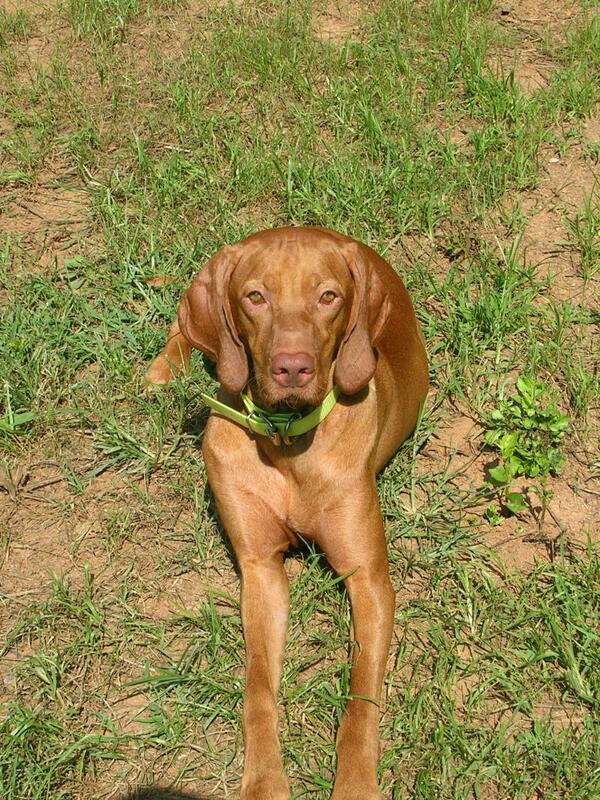 Our 4 female Vizslas: Roxanne , Cheyenne, Isabella, Lady Guinevere and our male Vizsla Maximus are all AKC registered . Roxanne, Max and Cheyenne have received their hip OFA certification ,Tancos was certified in Hungary and she also carries a dual registry AKC and HKC. All have great temperaments and have been great family pets. 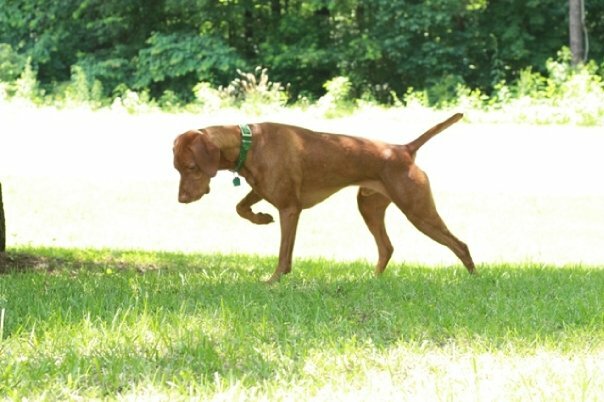 One of the top reasons people have decided to purchase a Vizsla puppy from us was when they had seen our dogs in person and also witnessed their incredible temperaments. Contact us if you are interested in being added to our waiting list for present or future litters. We will also be glad to let you talk to people that have purchased Vizsla puppies from us or you can plan a visit to meet our beautiful dogs in person. 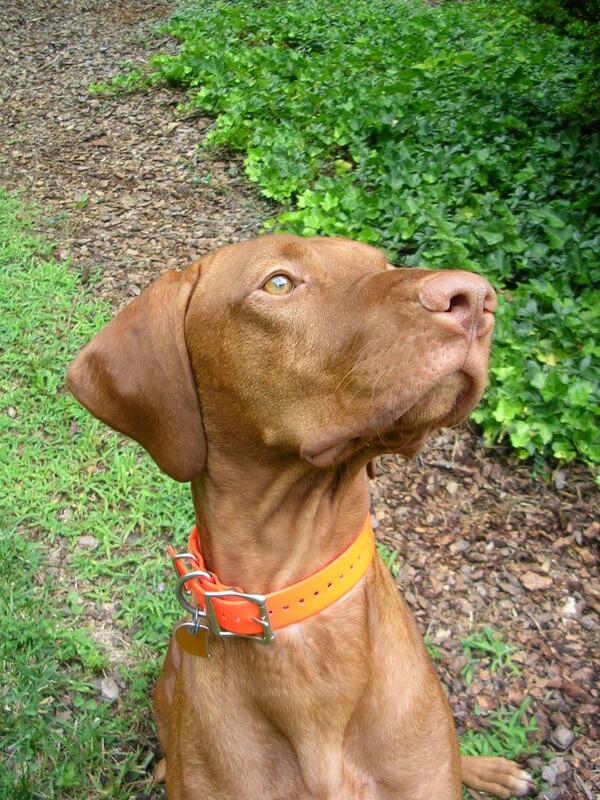 Click on Vizsla for information on this wonderful breed. 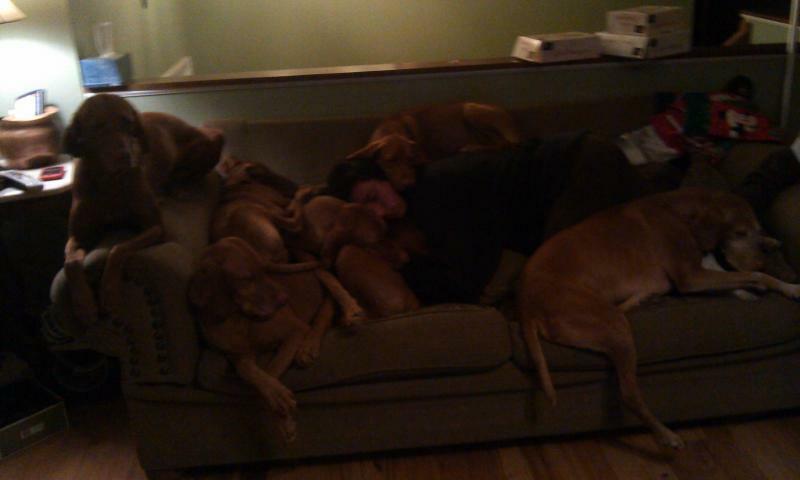 Our Vizslas are first our family pets. We are not a large dog breeding business that kennel our dogs outside. Our Vizslas are an important part of our family and receive lots of love and affection and live with our family in our home. Our Vizslas maintain a healthy diet with plenty of excercise and lots of human interaction, and we do the same with your puppy. If you decide to adopt a Vizsla puppy from us you can rest assured that your puppy has been cared for and handled with loving hands. We stand behind our puppies and guarantee our pups are free of genetic defects and we have done everything we can to make sure you have a healthy well balanced puppy to welcome into your home. . Please feel free to contact us with any questions you may have , and check out our updated pictures on our web site.